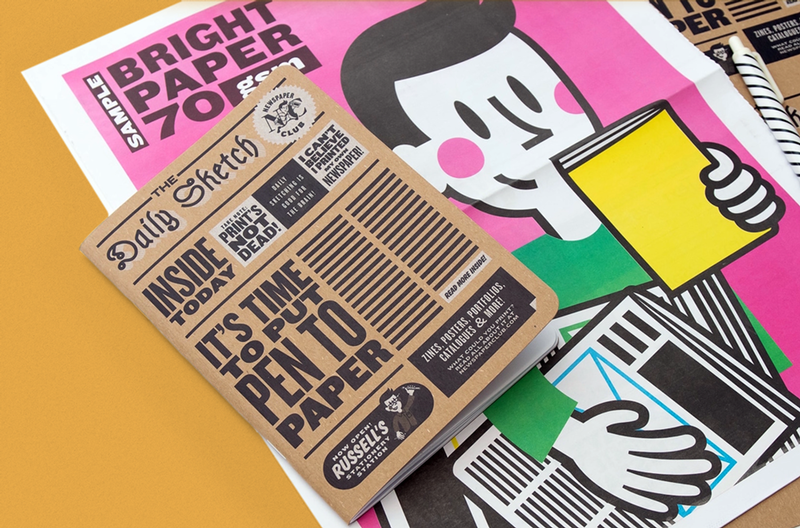 We’re massive fans of the notebooks produced by Scout Books from their cheerful yellow headquarters in Portland, Oregon. 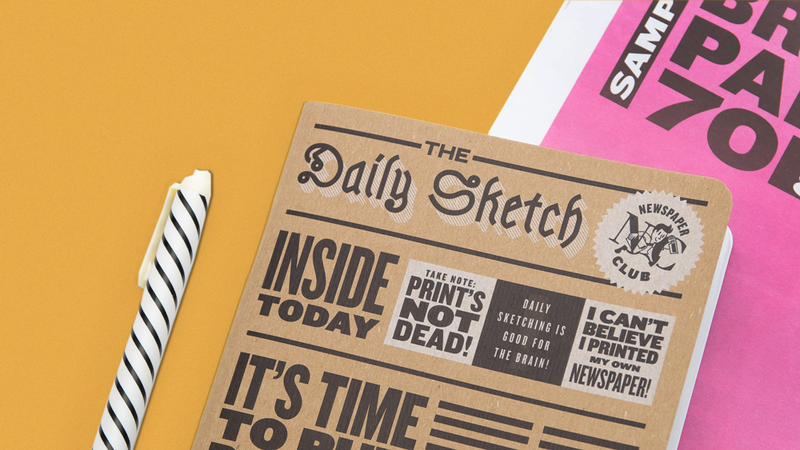 Like us, Scout Books believes in the enormous power of print, and we’re very pleased to have teamed up on a project bringing together their notebooks and our newspapers. Want to know how these neat little notebooks were made? 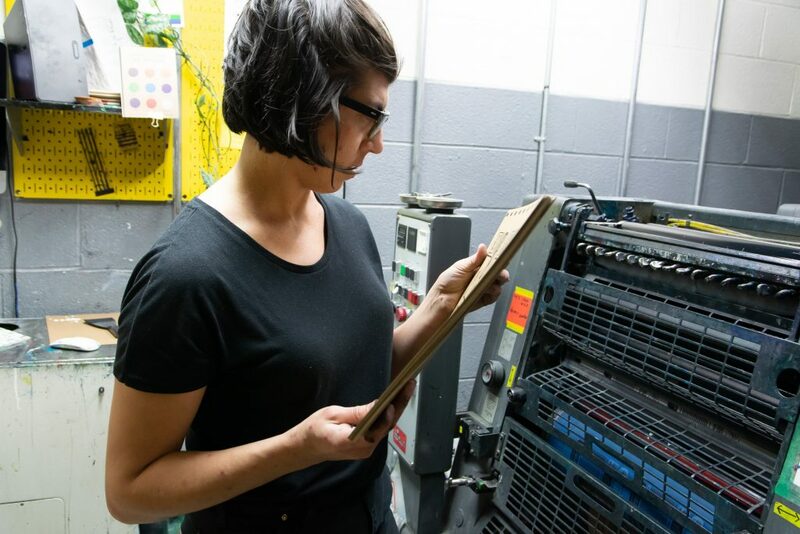 Below, Scout Books give us a peek inside their print shop—where they complete up to 5,000 notebooks a day!—and explain how they work to make their production process as sustainable as possible. How did Scout Books get started? 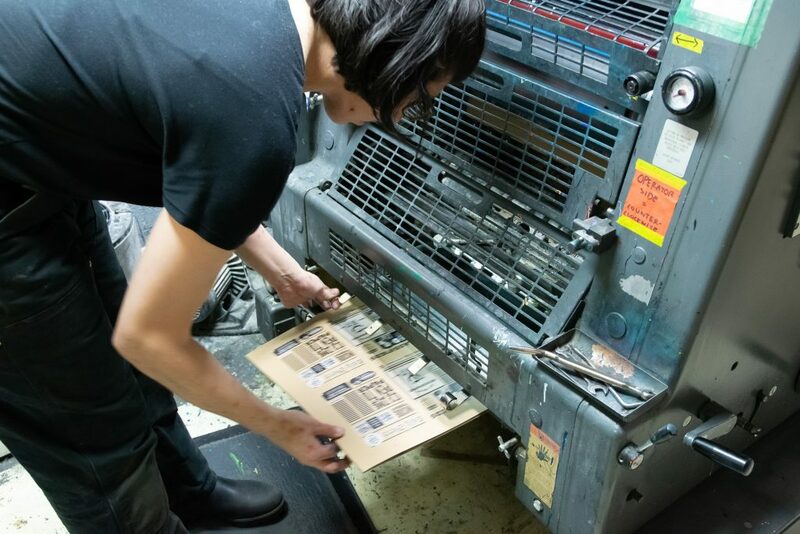 Back in 2009, Austin and Laura Whipple, the Scout Books co-founders, were running a full-service print shop that did a little bit of everything. 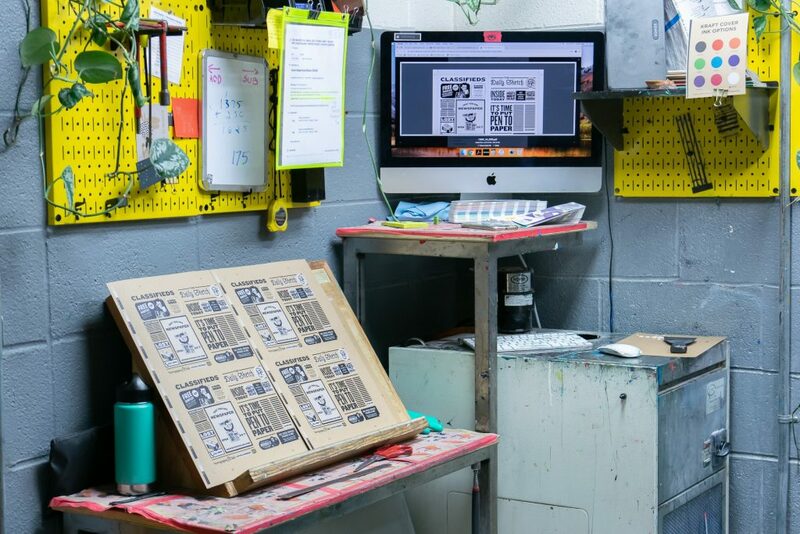 A mixture of a changing economy and new printing technologies made being a print shop a challenge and inspired them to look for new offerings. Meanwhile, a format that had come out of the shop caught people’s eyes and attention. What started as a single project in the corner of the building became the most popular product! 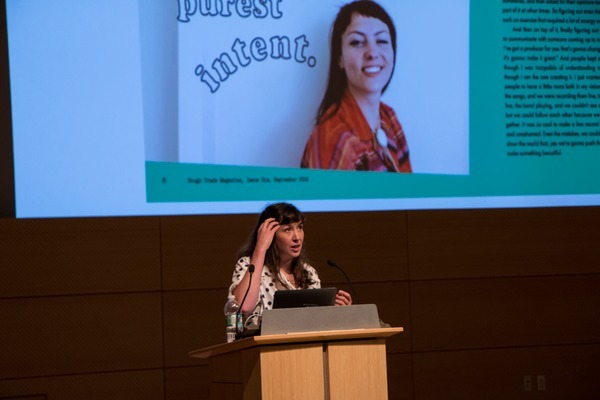 In 2011, they put the kibosh on all their products and focused exclusively on Scout Books. Every Scout Book is made of 100% recycled paper. 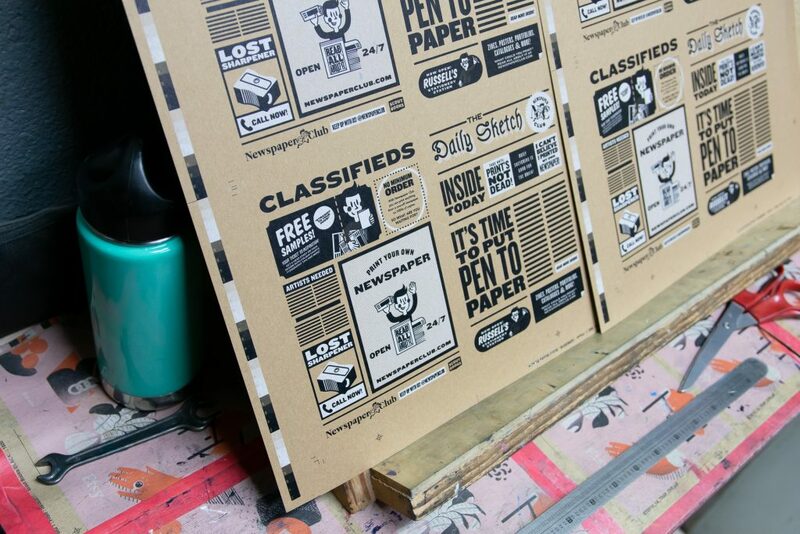 We use chipboard for our black, gray, and kraft covers, and a lovely starchy white paper for our pages. 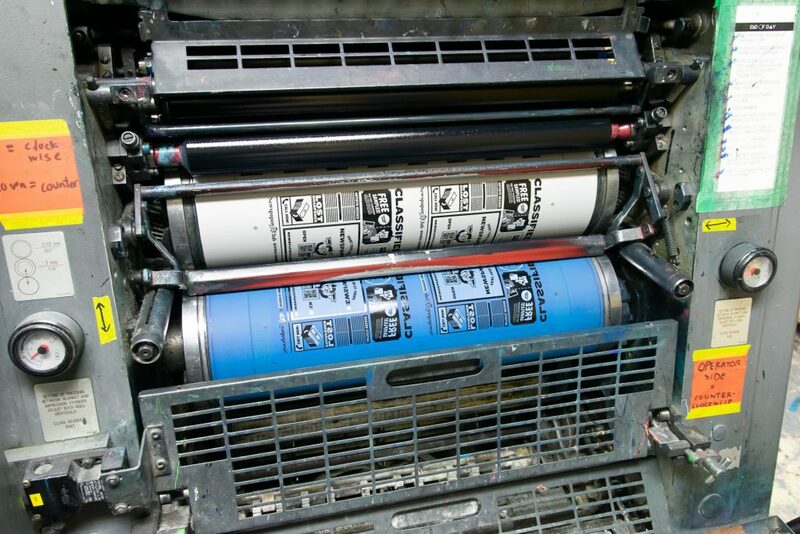 We focus on traditional offset printing, which gives us incredible detail and ink coverage that’s really unique. All our inks are vegetable-based, which is better for people and the planet. 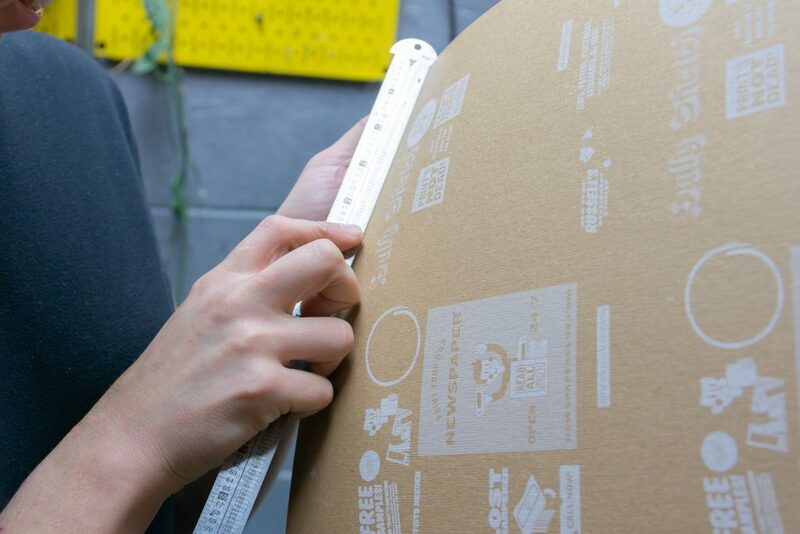 We work to source all of our materials from as close to our location as possible, and all our materials are sourced domestically to ensure quality and keep our carbon footprint low. Everything is printed, bound, packed and shipped from our shop in Portland, Oregon. Can you walk us through the production process for your notebooks? It all starts with a design. These can be something simple like a logo with plain pages, or they can be complex with multiple ink colors on the cover and full-color interior pages. After you place an order and send in your design, our project managers and graphic designer get the file print-ready and send a digital proof before sending it to print. This is a crucial step because next comes making a plate that is laser etched with the customer’s design, and we want to get it right the first time! 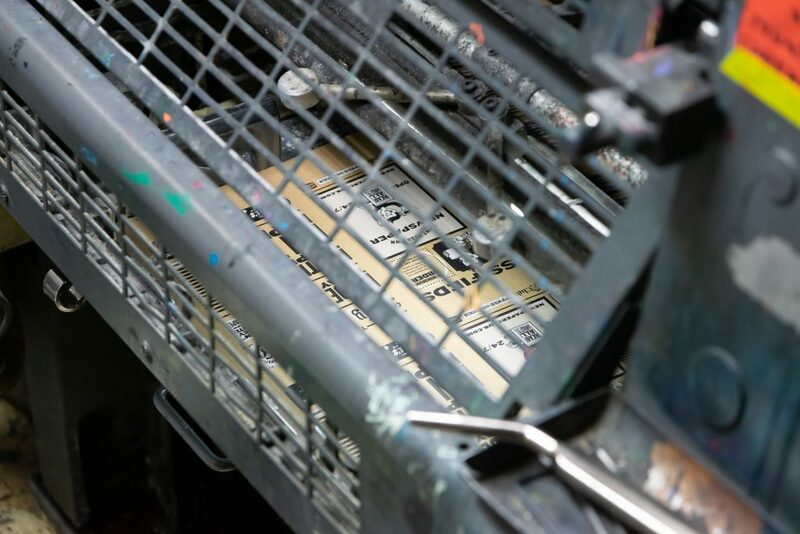 That plate goes onto one of our presses, and through the magic of offset lithography, we make an image. We run each sheet through the presses for every color a customer's job requires. Then everything goes off to the bindery! One cool thing about the design of both Pocket and Mega Scout Books is that the dimensions are set to take one parent sheet of paper from the mill, and produce as little waste as possible. A single sheet of paper is folded up to become the 32 pages that are standard for a Scout Book! Our pages go through this folding process while the cover stock is scored for folding and trimming. Then everything comes together on our Rosback stitcher trimmer, which—you guessed it—stitches and trims the books into their final form. The corners are then die cut one by one by a bindery operator and a pneumatic die cutter. 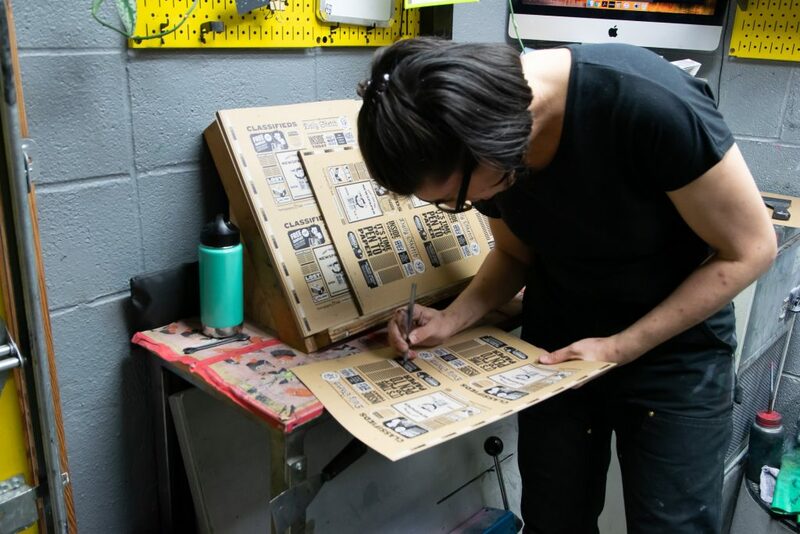 It's a great quality control check at the last step so that every assembled book has been seen by a person before it goes into the box and gets shipped out. That's our production process! We make our Pocket notebooks on a 10-day timeline, starting when we get proof approval. It's pretty fun to see it all come together, so if you're in Portland, we invite you to check it out. 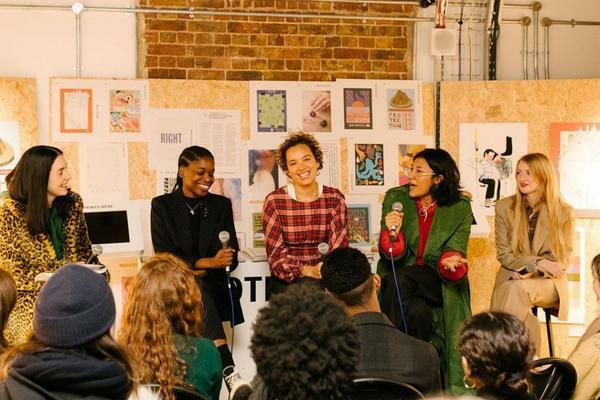 Scout Books is a small company of under 20 people, about half of which is production. On a normal day, we're completing between two and six thousand notebooks a day—it's kind of incredible how many books we can move through our shop when everything is working in sync. What’s the most challenging part of the printing process? We run into two main challenges when printing. The first is that all of our paper is recycled. Using recycled paper is built into the DNA of Scout Books, and not something we’d want to change, but it poses a fair share of problems. Paper mills don’t necessarily consider our use case with this kind of paper, so it often arrives pretty dusty. It’s our job to turn that raw material into fabulous looking, beautifully printed custom notebooks for clients around the world. The other challenge is that every job is custom, so there’s no manual on how to print it and deliver what the client is expecting. They’re designing on a screen, and in some cases have not had as much experience designing for print, so we have to anticipate a lot of potential problems before the designs ever get to press, and lean on the skill of our press operators once the job is running to deliver the quality level our customers are used to. Do you use any special tools that would be interesting to describe? 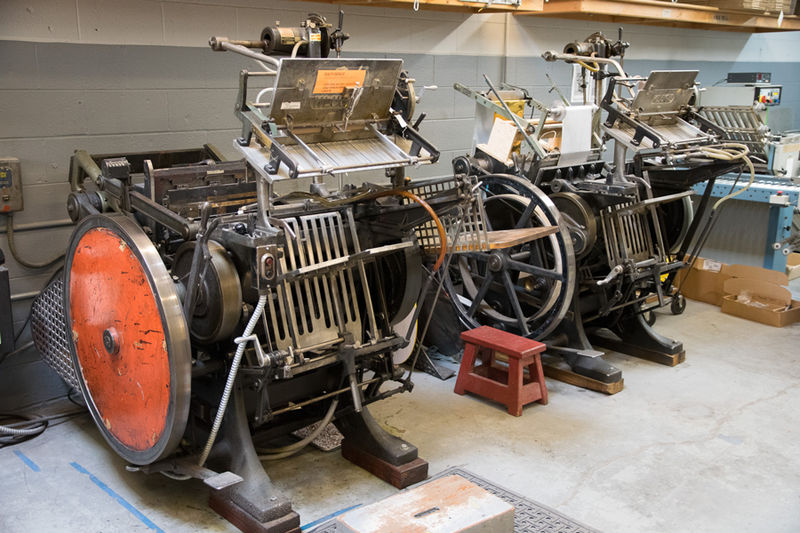 Our Kluge letterpress (pictured above) is pretty awesome! It’s from the 1940s, and we use it to score our press sheets and do our metallic foiling. We get so used to working around our presses that they kind of blend in, but they wow a lot of people that come by for tours. They’re much newer than the Kluge, but still nearly entirely mechanical and are completely dialled in by hand. 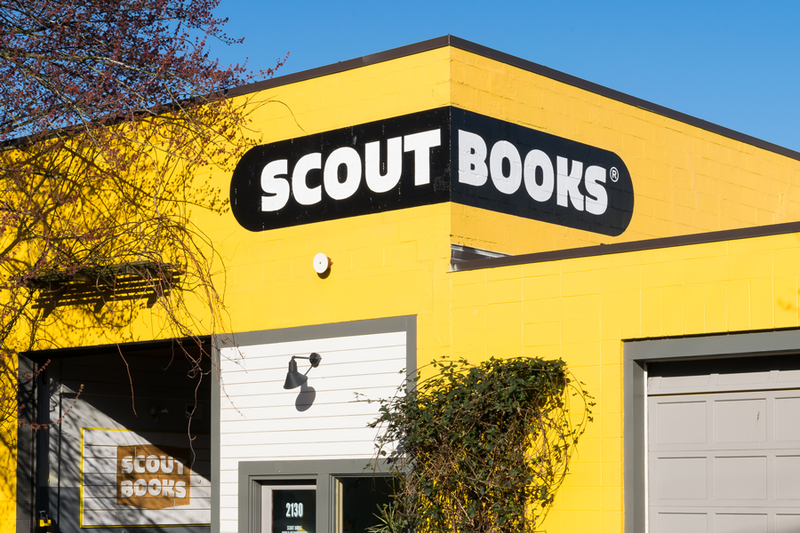 Scout Books is a certified B Corp. How does this influence your production process? We focus a lot more on tracking and finding ways to make sure we’re doing things the smartest, most sustainable methods we can devise. That goes for people and the planet. For example, we track all of our paper waste and how many trees we’re saving from being cut down by using recycled materials. 99% of our product is basically a form of upcycling, which really helps us achieve such a high score in the B Corp certification. Ultimately it’s all stuff we would want to do even if we were not a B Corp, but the third party certification keeps us accountable and gives us a great reason to get things done that we might not otherwise. 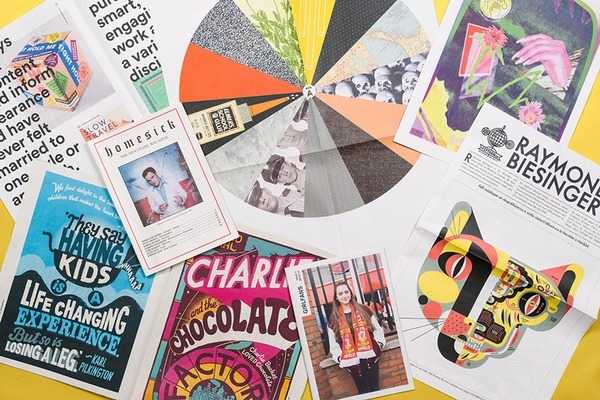 Looking ahead, what do you think the role of print will be in 2019? I think all things analog are on the rise. The Verge just reported that cassette and vinyl had double-digit growth in the last year! I think people are recognizing the limits of digital spaces, and the need for offline objects and activities in their lives. In terms of business, companies are also finding the limits of creating digital products. 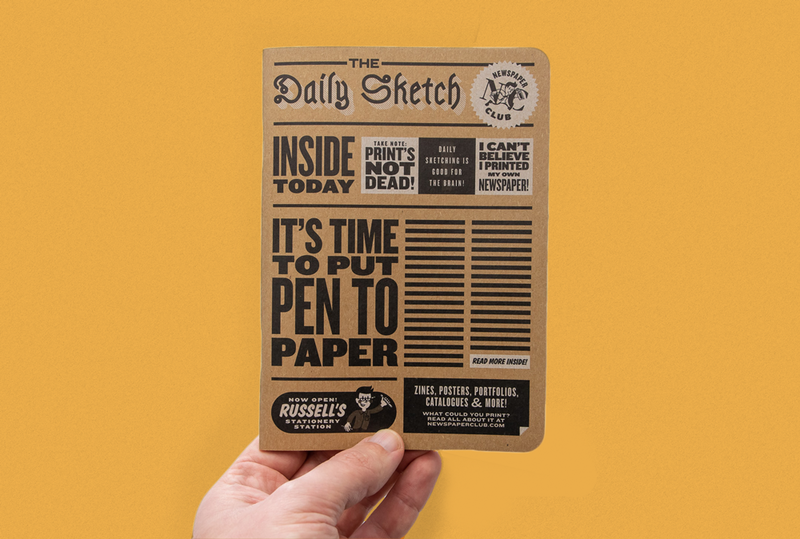 It can be incredibly powerful to deliver your message in a physical format. Objects stick around, they can be useful, they can be beautifully designed, and they convey so much information about a brand just by existing. It’s a really exciting resurgence for many industries that people have been calling dead for decades. In the end, print has a magical quality to it, and people respond to that.